From low temperature sensors to asset protection, Honeywell has the solution for your customers. See all the benefits that you can enjoy with Honeywell's new LYNX Touch 5100. Honeywell's LYNX Touch with the award-winning Total Connect Remote Services. Are you looking to add video to your web-based access control system? Check out all the new things you can do with the new Total Connect Video Viewer. Check out the next generation of Honeywell touchscreen keypads. The 6280 TouchCenter. Protect your family in style with LYNX Plus. It is truly a security system redefined. Want to control your Honeywell security system from an iPhone or iPod touch? See for yourself. Improve productivity and effectiveness with IP solutions from Honeywell. Find out more. Learn how to customize the home automation features of your LYNX Touch 5100. Learn how to use the amazing security features of LYNX Touch 5100. Learn how to control basic home automation features with your LYNX Touch 5100. Learn how to operate and navigate the LYNX Touch 5100 with the Dashboard. Tag along on a visit to Delaware State University as we talk about security. See how Honeywell video technology is helping grizzly bears and their caretakers. The world famous Loveless Cafe. See what Honeywell equipment is protecting this popular attraction. Get a real-world look at what it's like to work on the security installation. Couldn't find what you are looking for? 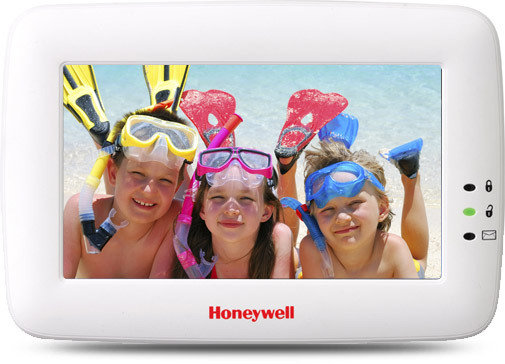 Check out our full selection of Honeywell Security videos.